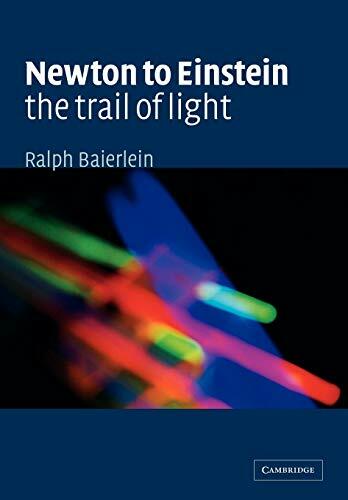 An undergraduate text taking the reader along the trail of light from Newton's particles to Einstein's relativity. Like the best detective stories, it presents clues and encourages the reader to draw conclusions before the answers are revealed. RALPH BAIERLEIN received his PhD from Princeton University; his thirty seven years of classroom teaching were spent at Harvard and at Wesleyan University, Connecticut. He has published papers in astrophysics, cosmology and relativity theory. For eight years he served as book review editor of the American Journal of Physics, and has written many papers related to the teaching of physics. In 1996 he was elected a fellow of the American Physical Society.